Steel fabrication is a distinctive craft that balances imagination, technology, and skill. It takes pieces of metal and attaches them together in the form of a specified shape and size. This process requires a skilled technician experienced in taking raw elements and transforming them into viable products. Thinking about starting or changing your current career to one in steel fabrication? Follow these useful tips. Begin your exploration into steel fabrication by asking yourself these questions: Why is a steel fabrication job the appropriate path for me? What will be the rewards? What might the downsides or risks be? The answers will show you whether a steel fabrication career best fits your aspirations. The salary for metal fabricators in the United States averages at $16.25 per hour. The majority of workers in this profession have health coverage and medical benefits and report high levels of job satisfaction. 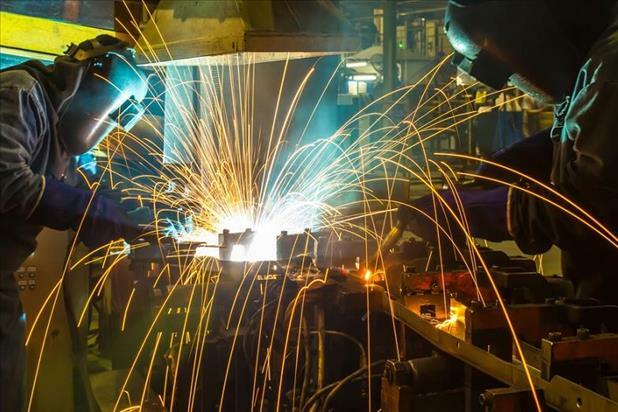 The Occupational Safety and Health Administration requires that fabricators work in safely ventilated areas in order to avoid inhaling gases and fine particles that result from welding processes. Because of these hazards, steel fabricators have a rate of injuries and illnesses that is higher than the national average. However, injuries can be minimized if safety procedures are followed. Set a deadline for when you would like to accomplish your dream of becoming a steel fabricator and create a strategy to ensure it happens. In your plan, take into account the additional resources you’ll need in order to achieve your goal. Consider if you will need child care or if this new decision takes time away from other relationships. Save for expenses that you may incur while training to become a steel fabricator. Use this information to assign yourself daily or weekly tasks to move toward your finish line. Using a day planner or setting up an excel spreadsheet will aid you in monitoring your progress and staying on track. Acquire the training and skills needed to break into the fabricator profession. While a high school diploma or its equivalent is sufficient to work for most fabrication companies, some employers may require an associate’s degree. Taking additional courses in blueprint reading, shop mathematics, and machinery will give you an advantage. More training will occur on the job, where an experienced fabricator will model the steps for you. Connect yourself with an employer that has a reputable history of providing high-quality work so that you will learn to perform at the same level. Stay connected and current in steel fabrication by reading industry journals and attending trade shows. Continually develop your technical abilities while also expanding your leadership, management, and entrepreneurial aptitudes as well. Take advantage of advancement opportunities within a dependable organization or branch out on your own by going into business for yourself. Give back to the steel fabrication industry by teaching others so that they can gain from your experience.